Home confinement is often an attractive alternative to doing jail time, but in some cases, making your ankle bracelet attractive carries its own punishment. Rebecca Gallanagh was charged with the crime of public disorder for being involved in a fight outside of a local nightclub in the UK. As an alternative to incarceration, she was fitted with an electronic ankle bracelet that monitors her position through GPS satellites. She was ordered to adhere to a strict 9PM curfew in her home that officials could monitor through the signals received by the device. 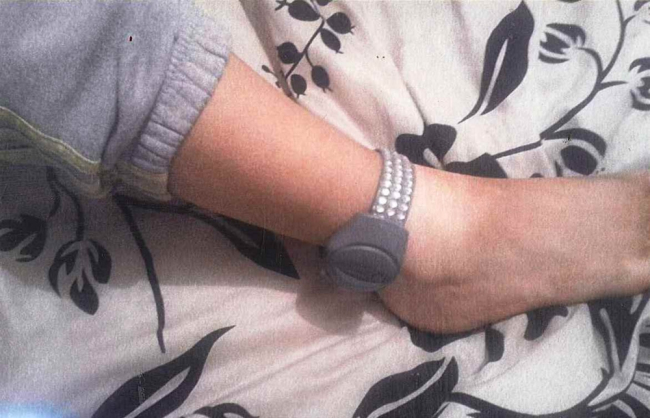 Not satisfied with the anklet’s aesthetic appeal, Gallanagh took matters into her own hands and customized the device with numerous, synthetic diamonds. She claims she got the idea by watching a reality show called “Big Fat Gypsy Weddings,” in which one of the brides customized her own electronic bracelet. She also insists that an employee of the company who manufactures the anklet told her that she could customize it in any way she wanted to. Court officials were not pleased with the modification, calling it a “serious offense” that caused Gallanagh to be hit with a fine of about $220. The manufacturers claim that her modifications had “compromised the integrity” of the device, which could have an impact on its use. Gallanagh maintains that her actions were not a crime nor did she intend to evade being monitored; instead, she wanted to feel better about wearing the device. While you may be tempted to add some bling to an electronic bracelet, it’s best to consult a criminal defense attorney first. If you or a loved one are charged with a crime in Orange County, call Irvine criminal lawyer Staycie R. Sena for a free consultation at (949) 477-8088.